Late bloomer. Long, wavy leaves at base of tall, leafless stems, 6 petals. Blooms at night. Large fiber-coated bulb was used by the Maidu for many purposes as described below. Notes: A native, the Wavy-Leaf Soap Plant prefers dry, open hills and is one of the most useful plants. Hairs on large bulb were used to make brushes to winnow Maidu baskets. The bulb could be used for soap, because it lathers and can be used for bathing. It is said to leave hair silky and shiny. One can dry the bulb to remove this soapiness. 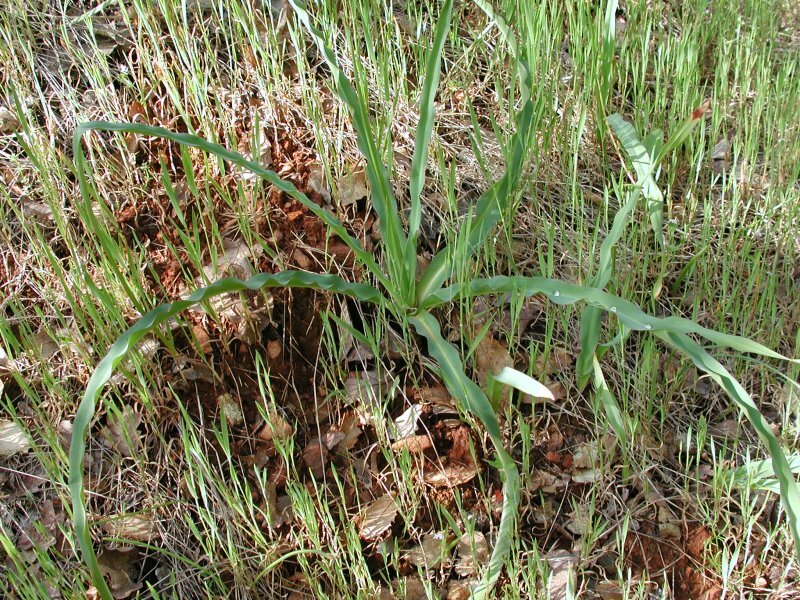 The bulbs were slow roasted in stone-lined pits 3 to 4 hours or all night, wrapped in poison oak leaves and then eaten. The bulbs were a good source for carbohydrates but are toxic raw. The Maidu would grind them up and throw them into streams and rivers to stun the fish. This practice was stopped as it obviously would poison the water. The ground, roasted, bulbs were used as a poultice for sores. Fresh bulbs were rubbed on the body to relieve rheumatism pains and cramps. They were also used as a diuretic and laxative. The thick juice from slow-roasting the bulb could be used as a glue. The young leaves are edible and very sweet when slow cooked. The juice from the leaves could be used for green tattoo markings. 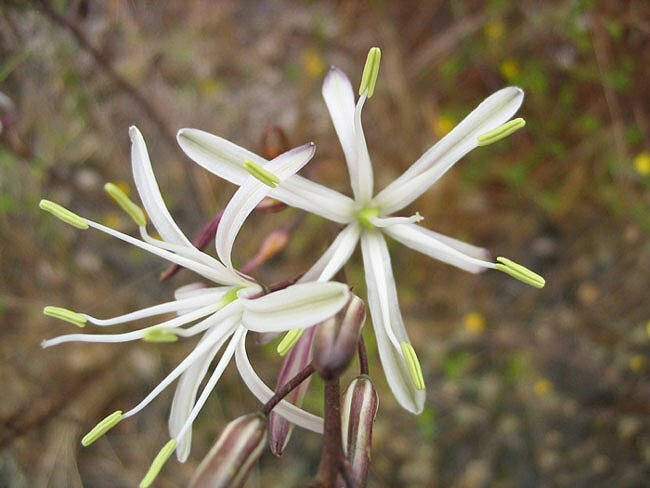 The fragrant, night-blooming flower is pollinated by moths. The flowers open in the early evening and close in the morning. It takes 25 years for a plant to grow to significant size.